Written in collaboration with Mark Niel and David Pibworth. The most gruesome pantomime of them all! A classic toetags to riches story! Follow Boris and Bertha as they investigate creepy goings on in Cemeteria, a mountain top village in the heart of Transylvania, where dark secrets and mad scientists dwell side by side. Dracula, Dr Frank N Stein and Igor as well as the Werewolf all play their part. All the elements of traditional family entertainment are here: Songs, laughter and unspeakable violence! 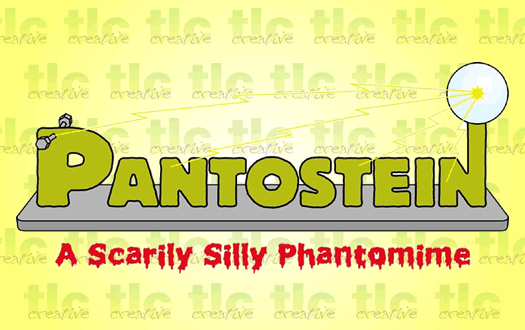 A brand new script full of fun, slapstick and things that go bump in the night! Also available with this script as an optional extra: Rehearsal arrangements for the original songs from the show by Sound-Board, available to purchase from Lazy Bee Scripts.